The following tips are advice about friendship that were shared with me via email, Facebook, and handwritten notes. Some statements were shared by people from Pleasant Grove UMC; others came from people outside our congregation. The advice is not in any particular order and PGUMC and our pastor make no claims about the accuracy of these statements. We simply share them for your consideration. Pastor Chris would welcome the opportunity to counsel with you privately about how deepen your friendships. 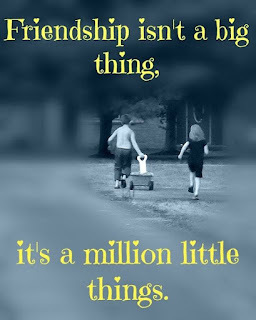 Click here for my blog about 5 traits of deep friendships. How do you make friends and be a good friend? 1. Listen, Trust, Forgive, Laugh, Pray. 2. Be kind and honest. 3. Always have a helping hand available. Be a good listener. 4. Always assume that there is something about every situation you're involved in with a friend that you are unaware of. This can affect a relationship and if you have that in mind it is easier to maintain that friendship. 5. Err on the side of kindness. 6. Just being there and never having to say a word, just a hug a loving touch. 7. Knowing when to shut up! 9. Show an interest in them and theirs. Don't bore them by telling them about you. 10. When you walk into a room, look around at the people there and treat them like you were hoping so much they would be there—even those you don't know. You'll find a lot of friends that way. 11. To restore a broken friendship: 1) Talk to God before talking to the person. 2) Always take the initiative. 3) Sympathize with their feelings. 4) Confess your part of the conflict. 5) Attack the problem, not the person. 6) Cooperate as much as possible. 7) Emphasize reconciliation, not resolution. 12. Making Friends – Staying humble and kind will make you more appealing to others who are also looking for a friend. In today's society, we are constantly surrounded with mediums to bring attention to ourselves. Facebook, Instagram, etc. are all methods to enhance our own image and therefore takes away the focus from others. Staying humble and kind will help to reduce this self-promotion/social acceptance mentality and shift the attention to those around us. I believe people find that quality appealing, refreshing, and ultimately... will win you new friends. 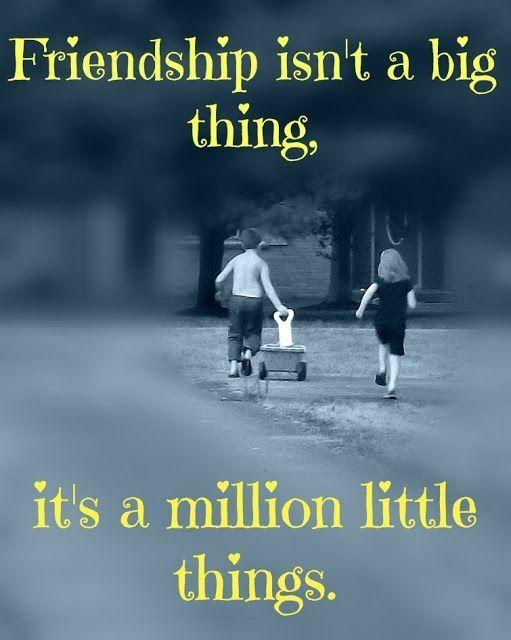 Being a good friend – staying humble and kind allows us to listen more than we talk. Good friends exhibit genuine interest and respect towards each other. Humility allows us to be slow to react and therefore promote wise words and actions. You never see a friendship end because one party was too nice and kind. Friendships end due to the lack of humility and kindness. 13. Make a friend, be a friend, bring a friend to Christ. 14. Forgive, make an effort to keep in touch and up-to-date on each other’s lives, and pray for and with each other. 15. Be a good listener and thoughtful. 16. To be a “good” friend, treat that person as you would like for them to treat you. Show respect, compassion, understanding, and love for your fellow person. 17. Always be there. Remember special occasions and celebrate with them. Click here for 5 traits of deep friendships.